When George Orwell published his famous novel “1984” in 1949, he wouldn’t have imagined how his fiction will be turned into a reality in the country of his birth only three decades later. 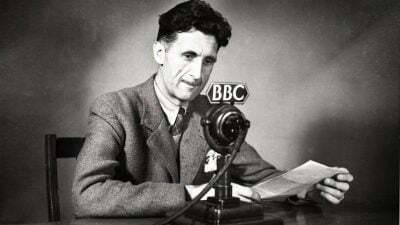 Orwell was born on June 25, 1903 in British India in the state of Bihar. His father was a civil servant posted with the Opium Department. 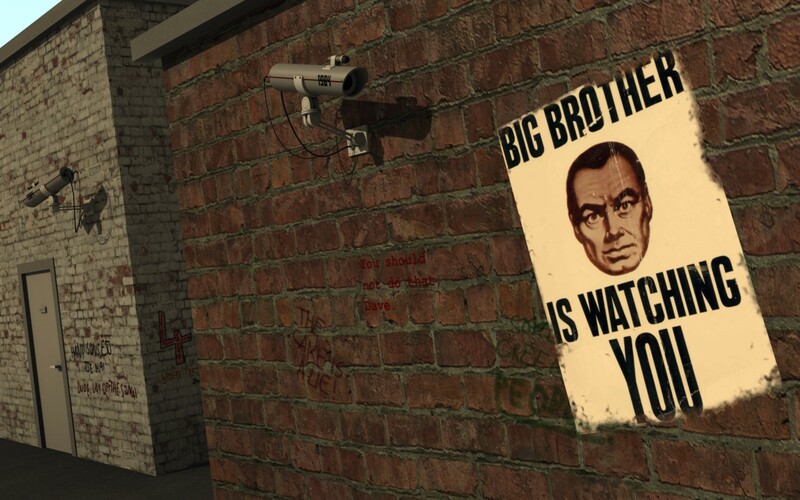 “1984” is about an imaginary totalitarian regime where any voice of dissent could be stifled and the society is expected to be homogeneous with no alternative thoughts ever allowed to exist. The year 1984 marked the beginning of an era of majoritarian democracy in India when Sikh minority came under surveillance and constant attack. This all started with some genuine political demands of the Sikhs and Punjab. Not only these demands were ignored by the so called secularist Congress government in New Delhi, but the Sikhs were systematically targeted to attract the votes of the Hindu majority. The peaceful agitation of the Sikhs for some religious concessions and political rights was allowed to go out of hand. This is not to defend the Sikh extremists who indulged in violence against Hindus in Punjab. But the overall response of the Indian state to the Sikh demands was very brutal. During Orwell’s birthday month of June in 1984, the holiest shrine of the Sikhs in Amritsar was invaded by the army to deal with handful of fanatics who had stockpiled arms inside the place of worship. The press censorship was imposed and any voice of dissent was crushed with an iron fist. Under these circumstances, the Prime Minister Indira Gandhi was assassinated by her Sikh body guards for which the entire Sikh community was punished across India by violent mobs led by the Congress party supporters. The state sponsored repression of Sikhs paid dividends to the Congress that won the national general elections with a heavy majority in the aftermath of Indira Gandhi’s murder. Her son Rajiv Gandhi rode to power by using the slogan of national unity and justifying the anti Sikh carnage by saying that when a big tree falls earth around it shakes a bit. Thus, a ground was laid for keeping minorities under boots to enjoy the fruits of governance. In 2002, the Muslims were targeted by using similar techniques in Gujarat by the ruling Hindu nationalist Bhartiya Janata Party (BJP). 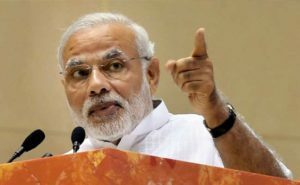 The current Indian Prime Minister Narendra Modi who was the Chief Minister of Gujarat back then was complicit in the anti Muslim pogrom that followed the burning of a train carrying Hindu pilgrims. Over 50 people had died in the incident that was blamed on the Islamic extremists. Like Rajiv Gandhi, Modi also justified the violence against Muslims by using action verses opposite reaction theory of Newton. Not surprisingly he also won the election that followed the massacre with a thumping majority. Today under Modi, the whole of India has turned into an Orwellian state where all minority communities, especially Muslims, Christians, Dalits or the so called untouchables and tribals are being targeted both by the state agencies and vigilantes. So much so, any voice of dissent is aggressively curbed by using anti sedition laws. This has contributed to the expansion of embedded media and a virtual silence of the critics. There is a feeling that an undeclared emergency has been now been clamped all over India that witnessed an official emergency in 1975 under Indira Gandhi. Ironically the emergency and press censorship was imposed on the birth anniversary of George Orwell after Indira Gandhi’s election was set aside by the courts. Modi at that time had gone into hiding to avoid getting arrested like other opposition leaders, whereas today his opponents also have to suffer for speaking their mind. While Orwell is being remembered everywhere for encouraging critical thinking that is necessary for the progress of our society, the political leadership in the country of his birth is soon exactly the opposite. As Modi is trying to remind people of the emergency of 1975, the Bihar government has come under criticism for the encroachment of Orwell’s birth place that was declared museum. All we need to do is to keep his legacy alive by telling the truth and making those in power accountable by exposing their lip service. Gurpreet Singh is a Canada- based journalist who publishes Radical Desi- a monthly magazine that covers alternative politics.